For booking our playing room you have to make prepayment during 2 days 30 euro and only after that booking is done. If you cannot come on your booking date, you have opportunity to change your date but only once. We don’t give back prepaid money. You can also make a booking for daytime events under a separate arrangement; we welcome you to come over, have a look at the playroom and spend some time playing; enjoy snacks and coffee; charge per child is 5 €. You can check out our page on Facebook at https://www.facebook.com/ChiBoMangutuba/ to learn more about the choices available and working hours. With the fragrance of real coffee – our coffee maker will be at your disposal during all the events. 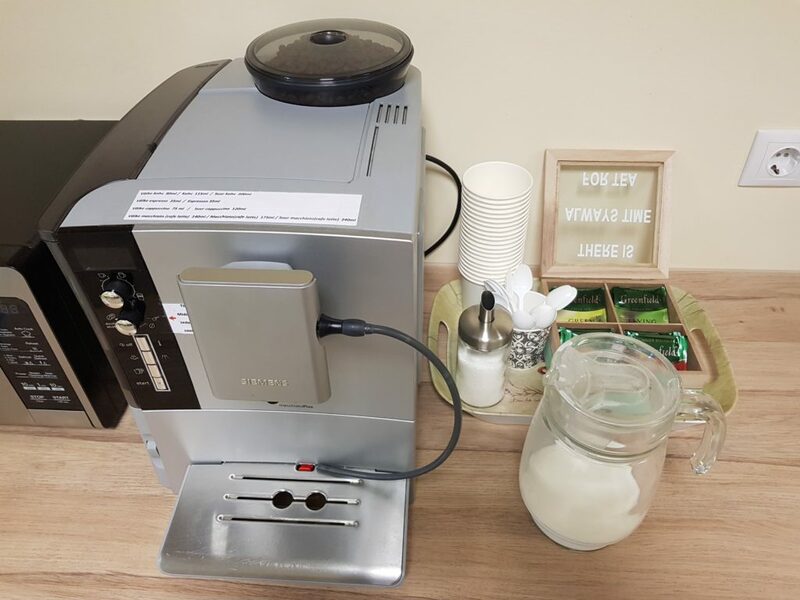 Coffee maker allows you to make coffee and various coffee drinks from real coffee beans. Coffee breaks will cost you 15 euros; this amount will be added to your bill for using the playroom. Coffee beans, milk and sugar will be available for that price. The price is for 25 persons.